Steve Jobs was a pragmatic business mogul, inventor and the co-founder of Apple Inc. where he served as the Chairman and CEO. From a humble beginning, he grew up as an adopted child to become an IT wizard, actively involved championing the microcomputer revolutions that saw to the emergence of smart and high power devices like iPod, iPad as well as Macbook. He died in 2011 as one of the richest and most influential men in the world. Find out here, more about the life and times of the technology pioneer who revolutionized computing. Steve Paul Jobs was born on February 24, 1955, in San Francisco, he has 2 sets of parents; his birth and adoptive parents. Steve as well has a biological sister and an adopted sister. He grew up with his adopted family in Mountain View, California. Jobs adoptive mother worked as an accountant while his father was a repo man (someone who repossesses items with or without interests), he also fixed cars as a hobby. Often times, little Steve Jobs would watch his dad fix cars and in seeing him do this, he began to develop a knack for craftsmanship. He further grew up playing with electronics that at age 10, he was friends of engineers in his neighborhood and hardly rolled with his mates. Homestead High School was where he finished from in 1972. He then got enrolled in the expensive Reed College in Portland, Oregon but spent just a semester there before quitting. Following his dropping out from college, Steve Jobs started working at Atari and equally began saving up for his 7 months spiritual enlightenment leave in India in 1974. He went for the leave and returned the next year to his job with Atari, subsequently, he was then assigned to create a circuit board for a video game Breakout. In 1976, Steve’s good friend, Steve Wozniak who was an inventor and programmer designed and developed Apple I computer, he shared the idea with Steve, and together with Ronald Wayne, they founded Apple Inc. Wayne, however, left after a while Jobs and Wozniak continued with the project. They began a technological revolution to make computers smaller and affordable for commercial use which we are all benefitting from today. The duo launched Apple II in 1977, which recorded a then-whopping $2.7 million in sales in the first year. Following its success, they launched Apple III in the middle of competitions from other companies, but following negative reviews, reviews, it was withdrawn and re-launched after undergoing technical corrections. Jobs resigned from Apple in 1985 to establish Next Computer, known as Next Inc. He hired most of his former employees in his new company, the computers they produced were good with excellent processing speed. However, they could not stand the competitions due to price and some technical inabilities. In 1986, he acquired another company named Pixar from Lucas film’s graphics division for a price of $10 million. The company partnered with Disney to produce its first film called Toy Story in 1995. They would go on to produce many fine films like Finding Nemo (2003), The Incredibles (2004), Ratatouille (2007), etc. The company was later purchased by Disney in January 2006 with Jobs as the major shareholder. Steve went back to Apple Inc following Apple’s purchase of Jobs’s Next for $427 million in January of 1997. He became the CEO of the Company till 2011 when he resigned to take care of his health challenges. The net worth of this inventor was estimated to be $10.2 billion at his death, with a large chunks of the wealth shared to his family. Steve Paul Jobs biological parents are Joanne Carole Schieble and Abdulfattah John Jandali. His parents met at the University of Wisconsin, where Jandali was studying for his Ph.D. while Joanne was lecturing a course in education as an assistant lecturer. They began dating and along the line, Joanne got pregnant, but due to cultural differences between their countries, their families banned them from being married. By the time Steve Jobs was born, they put him up for adoption and Paul Reinhold Jobs and Clara Hagopian Jobs adopted him in 1956 after they had assured his mother they would send the boy to college. Jobs biological parents later gave birth to another girl named Mona Simpson whom Steve found in his adult age. His adopted sister, Patricia was adopted in 1967. They grew up together. Jobs practiced Buddhist religion during his lifetime. Though grew up in the Christian faith, he walked away from Christianity when he alleged he could not get answers to the questions troubling his mind when he was 17. Jobs had four children, one with his old time girlfriend named Chrisann Brennan and three with his lawfully wedded wife Laurene Powell. Brennan gave birth to Steve’s first Child named Lisa Brennan on May 17, 1978, when Steve was just 23. Lisa was born in Portland Oregon, United State. She studied at Harvard University and she is currently a writer and Journalist. She didn’t have a father-daughter relationship with Steve at the early stage of her life because Steve denied he was her father till she was an adult. Lisa is currently married to a man named Bill and she has a son. After Steve married Laurene in 1991, They had 3 other children, a son named Reed Jobs born on September 22, 1991, a daughter named Erin Jobs, born in August of 1995 while the third and last child named Eve Jobs came in 1998. 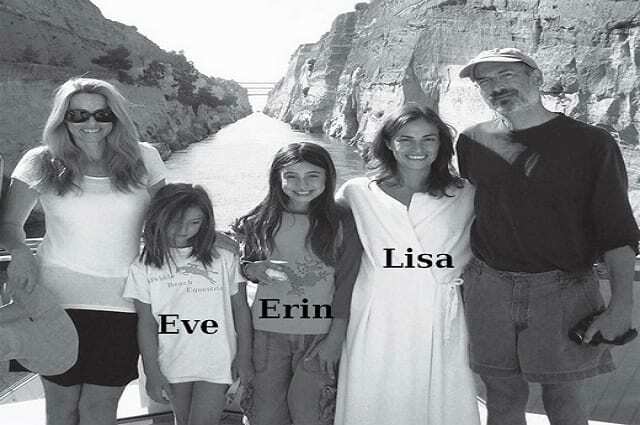 Among all the children, the first child, Lisa is most popular, Erin is said to be introverted as her father and they were not close, while Eve is an outgoing lady who knows how to get whatever she wanted from her father, she is reported to be close to Jennifer Gates, the daughter of Bill Gates whom she goes horse riding with sometimes..
Reed Jobs has assumed his mother’s surname ‘Powell’ following the demise of his 56 years old father, as he wants to be off the radar in other to have a normal life and focus on his studies. He appeared in his college senior year on Quiz Kids, a San Francisco Bay Community telecast show, where he outshined his classmates in the show. He is currently studying as an Oncologists in Stanford, a course he was inspired to pursue after his father’s long protracted illness, he said he wants to help others in the future who may fall to the same illness. See Also: Who Invented The Internet – Bob Kahn, Vint Cerf Or Tim Bernes-Lee? Steve Jobs struggled with Pancreatic cancer for about 8 years after he was diagnosed with it in 2003. Although he underwent 2 separate surgeries to remove the tumor in July of 2004, and a successful Kidney transplant at Methodist University Hospital Transplant Institute in Memphis in April 2009, unfortunately, he a had relapse. Other symptoms of the resurgence of the cancer began manifesting with more compilations surfacing, this resulted to his resignation as CEO of the company and absence in most Apple events. With Steve battling with his health, Tim Cook took over the company’s operations and resumed as CEO in August 2011 though Steve was still the Chairman of the Company. On October 5, 2011, Jobs gave up the ghost, in Palo Alto, California from complications of a pancreatic neuron-endocrine tumor in the presence of his family members. He had a private funeral service held for him before he was laid to rest in an unmarked grave in Alta Mesa Memorial Park.